Today is day 9 of Neely and Amber's Fabulous Fall Blog Challenge. We are football fans in this house. 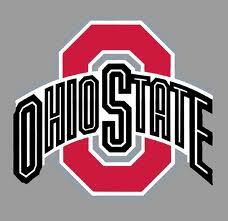 For college, we cheer for the hometown team, The Ohio State Buckeyes. AJ and I are going to a game this weekend on our roadtrip home. I am very excited. Usually we tailgate with AJ's friends, but the "ring-leader" is out-of-town for work, so we'll be figuring it out as we go. I'm sure it will involve some beers and loud cheering. As a family, we are Cheeseheads a.k.a. 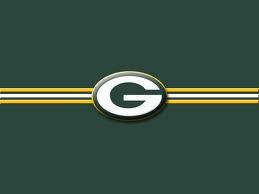 Green Bay Packer fans! You know, last year's Superbowl Champs!!! We spend our Sundays at home watching the game and enjoying "a spread" as Josh and Chloe call it. That translates to fatty football food. YUM! Ribs, wings, potato skins, taco dip, chili, etc. I promise, not all in the same meal, randomly could be any of these items. The kids love it! Anything to make the kids happy, they could careless about football, I'm pretty sure they are in it for the food.